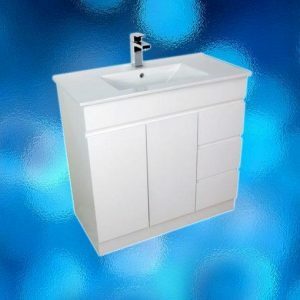 Cabinet white gloss with kicker 1 door 2 drawers to suit PE750 polymarble top. 1 door, 2 drawers cabinet. This chic, linear, modern Italian design is inspired by the world of art. 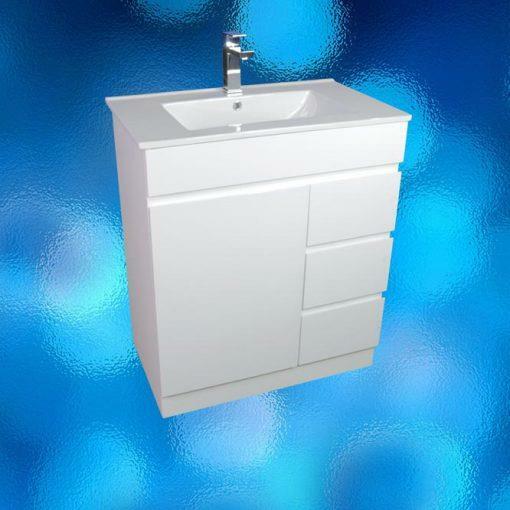 Elegantly and artistically shaped gloss polypainted doors without handles give a nice and clean look. 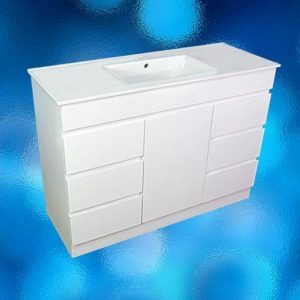 A one-piece, top quality, strong and durable white gloss polymarble sink has single mixer tap hole . The sink combined with countertop and provide easy cleaning with artistic and classical design.